Winger Jacques Maghoma has signed a new contract with Birmingham City. Maghoma, 30, has agreed a new two-and-half year deal, which will see him stay with the Blues until 30 June 2020. The Democratic Republic of Congo international has scored 13 goals in 101 appearances for the club since joining from Sheffield Wednesday in June 2015, including four this season. "I still think we've got the players and the hunger and desire within ourselves to go higher," he said. "You can sense that in and around the dressing room and I want to be part of that." 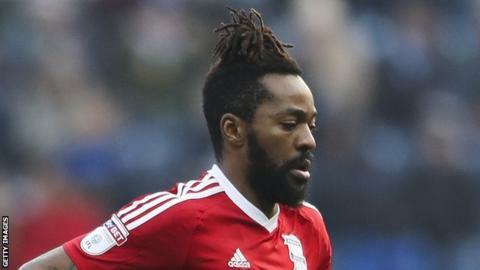 Maghoma joins midfielder Maikel Kieftenbeld and full-back Jonathan Grounds in signing new deals with Birmingham, who are 20th in the Championship, two points above the relegation zone.